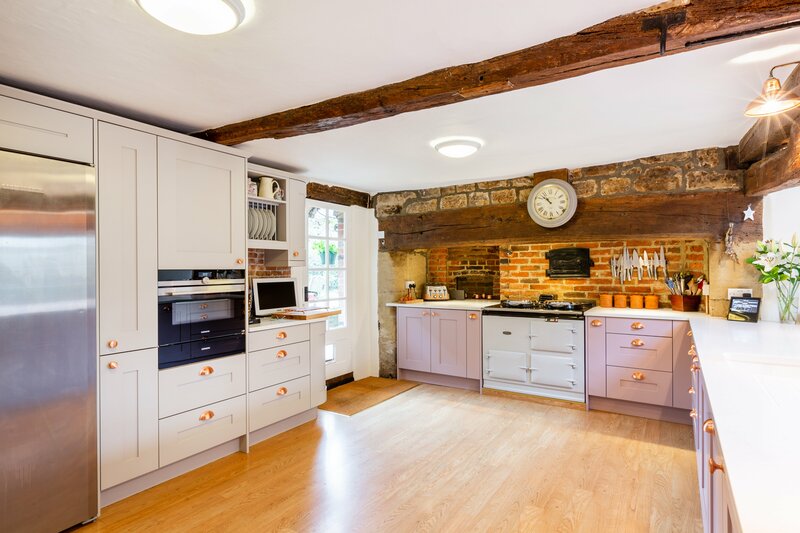 Create a light, more practical kitchen to suit family life. 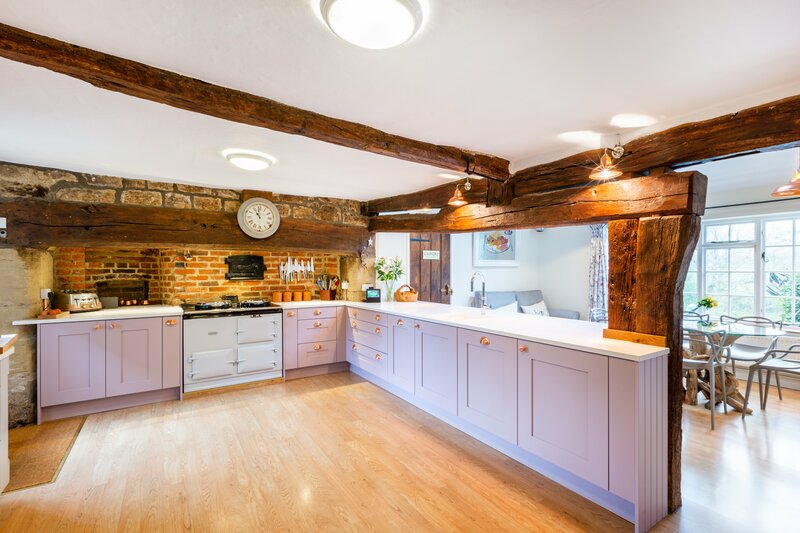 The new kitchen for this period farmhouse needed to be sensitive to the age of the property, use the existing footprint, and create a fresh modernised space for the family to enjoy. The existing Aga and fridge/freezer were also to be incorporated. Classic shaker kitchens are perfect for this type of brief. Their classic painted wood finish fit seamlessly into older properties, complementing period features and exposed woodwork. Our customers opted for the lay on door rather the in-frame design. This gives you a more simplistic, pared back feel to the shaker style. Which is ideal in an environment like this where the room itself, has so many beautiful details and features. Period features such as exposed wood beams can often be quite dark and imposing. The pink and soft grey tones in this kitchen really lift the overall colour scheme and complement the wood. Additionally, the contemporary Konigstone white quartz worktop looks crisp and modern. 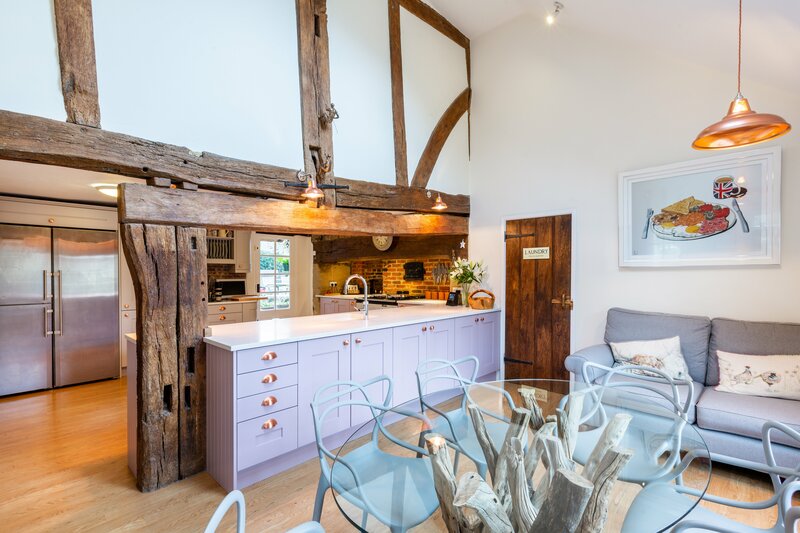 The worktop contrasts beautifully with the dark period features of the brickwork and wood beams. A key element to this new kitchen was the creation of more storage and making the existing footprint, more practical. 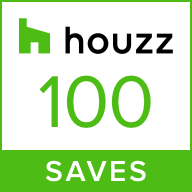 We achieved this by moving the fridge/freezer into a much more central and accessible position. Wall units were added to the same wall to increase the storage space in the hub of the kitchen. 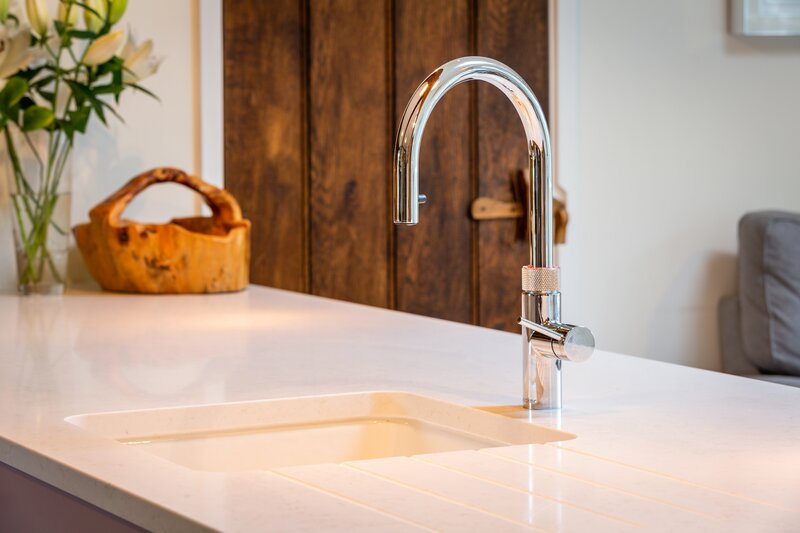 The Quooker combination tap is ideal for busy family life. It is at home in a contemporary or period setting such as this and is just so efficient so you don’t compromise on form or function. The Crofts & Assinder rose gold cup handles are just the perfect finishing touch on this design. Rose gold is a such a warm, ambient colour, it looks fabulous against the pink and soft grey furniture. Whilst on site, we spotted the wiring to the main sockets in the old chimney area, were all feeding down from the ceiling and cased in white plastic. To improve the aesthetic that was still practical, we re-routed the wires to come up from the floor instead. This reducedthe wiring on show, but the white plastic casing would have still jarred with the rest of the design. So we fed the wires through some plumbing pipe, and polished up the pipe to match the rose gold handles! We weren’t the only ones on this project taking care over every detail, our customer had such a great eye for colour and design. The Aga was re-enammelled from a traditional deep red colour, to an almost pearlescent tone, to integrate it seamlessly into the new kitchen. 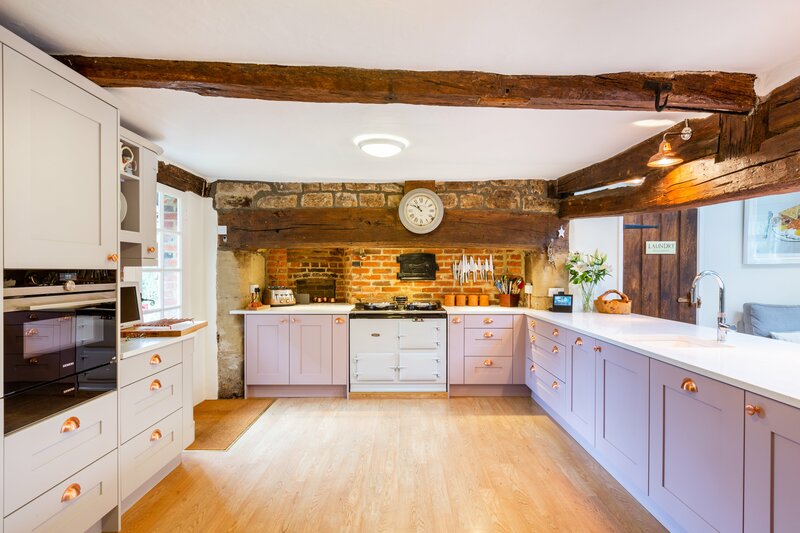 Browse our gallery for some more ideas or pop into our showroom to talk to us about your dream kitchen for a period farmhouse, drop us a line at info@kitchensbespoke.co.uk to make an appointment. On this project, and many others, we finished up by decorating the whole open plan space once the kitchen was installed. If you have wider decorating needs in addition to a new kitchen, just let us know!